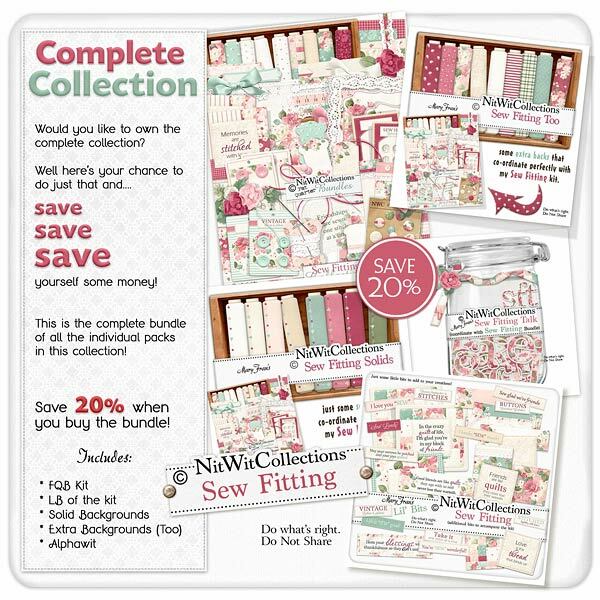 FQB "Sew Fitting" Collection really is fitting for so many uses and occasions! This shabby chic digital kit blends floral patterned papers and elements with a vintage feel in its button cards and borders. You will love the raspberry and teal tones to create so many different layouts and cards from, with ideas for its use such as wedding, Mother's Day, anniversary and love and so very much more as seen in our layout and card inspirations above. Soak in the sights of this wonderful design....we know you'll love it "Sew" much! !